Psychic Markers kicked off 2018 releasing their sophomore album Hardly Strangers via Bella Union. The album married 50’s-tinged doo-wop with lush cinema-influenced soundscapes; by way of neo-psychedelic pop hooks stretched out into hypnotic and elongated jams befitting of 1970’s Germany . Today, they announce their UK live dates + an appearance at this weekends Shake The High Road Festival in London, as well as sharing a gorgeous cover of Jack Clement’s “We Must Believe In Magic” that see’s the band layering and pushing the song to it’s cosmic realms. 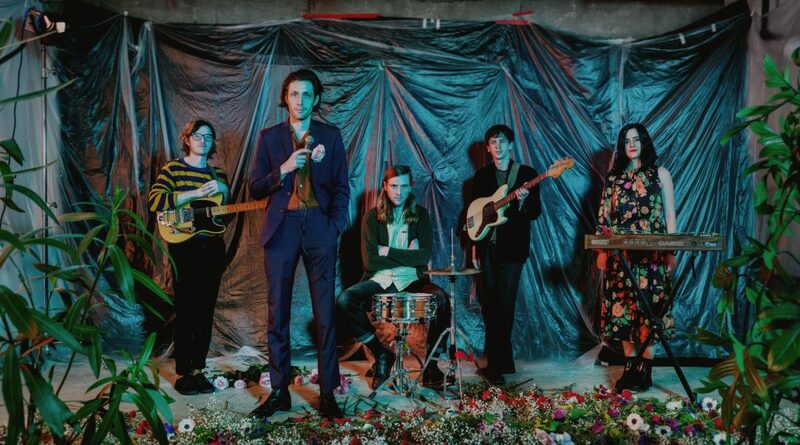 Psychic Markers – consisting of Alannah Ashworth, Lewis Baker, Steven Dove, Leon Dufficy and Luke Jarvis – are a hodgepodge bunch made up of members of various other bands and with a geographical backdrop that stretches countries as well as counties. So it makes sense that their music would be eclectically emblematic of such sprawling backgrounds. Psychic Markers have announced that they will play this weekends Shake The High Road Festival in Leytonstone as well as embarking on two UK tours, the first of which will be with label mate BC Camplight. The second tour will see them head out on the road with their pals Still Corners, whom Dufficy and Jarvis were previously members of. Full dates can be found here.